Before Fran moved to a Bedfordshire village I’d never eaten a mulberry. Not an unusual thing, I don’t know many people who have. But she has a beautiful specimen in the middle of her back garden, bearing inch-long reddy-black berries which burst on your fingers almost as soon as they are touched. Shoes were left at the door…mulberry juice isn’t the easiest stain to remove! So when Suttons announced a new dwarfing, self-fertile mulberry there was no hesitation at all. Bought in a trice! It fruits on the new and old wood, and has a long fruiting season – which sounds perfect! My plant arrived in February and has since lived inside my unheated greenhouse. A bit more detail of the breeding history has come out since I bought my plant and I’ve been keeping hold of every snippet. The Charlotte Russe is a cross between a white mulberry (as eaten by silkworms) and a black one (as mistakenly bought by James I to kickstart the English silk industry). Its formal classification is morus rotundiloba, bred by Hajime Matsunaga in Japan who holds Plant Breeder’s Rights. It’s sold in the UK under licence exclusively through Suttons. And this week it was awarded RHS Chelsea’s Plant of the Year (click on link to article), which is no doubt going to make the 7,500 plants in this autumn’s release sell like hot cakes. So how does it do? It’s a lovely-looking plant with very fragile stems. Being a klutz I broke one getting it out of the packaging. More on that later. It seems to have enjoyed life in the greenhouse – it’s already grown 45cm in the 3 months since arriving and has steadily shifted up from a 9cm pot to a 30cm one. The final pot will be a 40L job, and I bet it’s in it by the end of the year! The maximum Charlotte Russe reaches is apparently 150-200cm in both height and spread, which isn’t that tiny, but keeping it in a pot should restrict it further. The leaves are beautiful – heart-shaped, fluttery and delicate. As the leaves have emerged, so have the flowers and berries. Copious numbers. Suttons haven’t undersold the plant’s enthusiasm. They are odd-looking – little berries which suddenly develop hairs. And then gradually turn red. A colour they aren’t keen on changing, no matter how often you look… When they do change colour they do it FAST, swelling a fair bit as they do. (obsessive checking pays off!) The berries don’t ever achieve a huge size, more like a large blueberry, but you get lots. This week I’ve chomped through a good 50 or so. The bush will need to be netted on my site or I can see our many pigeons getting even fatter. The key question is, are they worth it? To be brutally honest, no. They aren’t. I am pretty disappointed in the harvest I have had given the initial glowing write-up. When totally black they are juicy and taste very sweet but have absolutely zero flavour. When picked juuuuust before all the red vanishes they taste like a memory of mulberry, but have a slightly odd rubbery texture and not much in the way of juiciness. Nice, but definitely not amazing. Cooking or dehydrating the berries might intensify the flavour, but I want fresh mulberries, and sadly for me, a proper ripe mulberry from a morus nigra still knocks the socks off the Charlotte Russe. In all honesty and based on the berries so far, if I were thinking of buying something that would grow to 1.5m x 1.5m I would probably get another tayberry. The caveat to all the above is my results might be down to my compost/watering/feeding regime. I hate being negative about something that could, and should, be splendid. So I would love to hear that I am wrong – preferably with a ‘how-to-make-the-berries-taste-great’ guide. And then how did an edible win RHS Chelsea’s Plant of the Year if the berries aren’t spectacular? The simple answer is they weren’t tasted. According to the article linked above, none of the berries were ripe on the specimen plant submitted. Personally I don’t think that’s on if an edible’s being judged, despite the unquestionable achievement of breeding it in the first place. The cynical part of me is betting that this small fact is overlooked in the subsequent marketing spiel. If you do like them (and if I learn how to make them taste nice enough to want more than one bush! ), the silver lining is that they take incredibly easily from cuttings. Remember that little piece I broke off in February? I wrapped the base in damp kitchen roll and stuck the whole thing in an inflated ziplock bag. Six or so weeks later it had a new shoot and teeeny tiny roots. It’s now nearly 10cm tall in a pot in the greenhouse, shortly to move outside now summer’s in full swing. I would genuinely like to know what you think of them (if you have one of the 2,500 plants from the initial release they could be fruiting about now) and in particular what you think of the berries. Please do leave a comment. I obtained this plant via Burfords a few weeks ago (with a label on the pot it came in describing it as the “Mojo Berry”/ a label I have preserved and displayed alongside the plant). It is taking off in its sunny spot in the ground (Kent U.K.) like a, well like a mulberry, but to be fair with the weather we have had since I planted it you could be ripening Mangoes here at the moment. 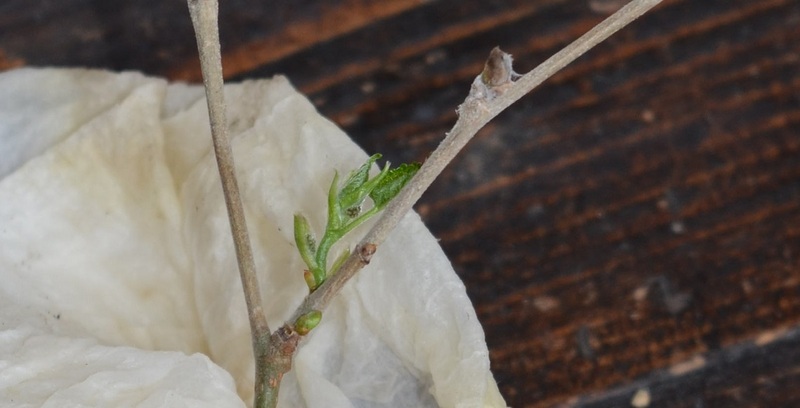 Thanks for creating this thread and the anectodal evidence that trials may be indicating potential issues with borderline hardiness is interesting.This has been noted by some for the Morus Issai, which has been available for some years and appears to share many of the characteristics of the Mojo Berry. Like the Shahtoot the Issai has been observed by some to to leaf out a lot earlier risking damage to the active leaf buds/ new leaves from cold weather or a frost. 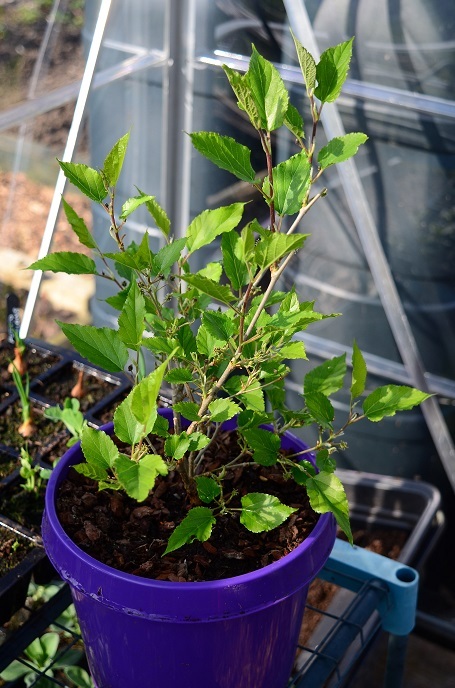 The more widely grown Morus Nigra which I also have is described by some as the wise mulberry as it leafs out so late after all risk of frost damage. As a precaution will now play it safe and use an inexpensive burlap throw over the colder months. This may help it flourish given plenty of sun in its sheltered position in the summer. 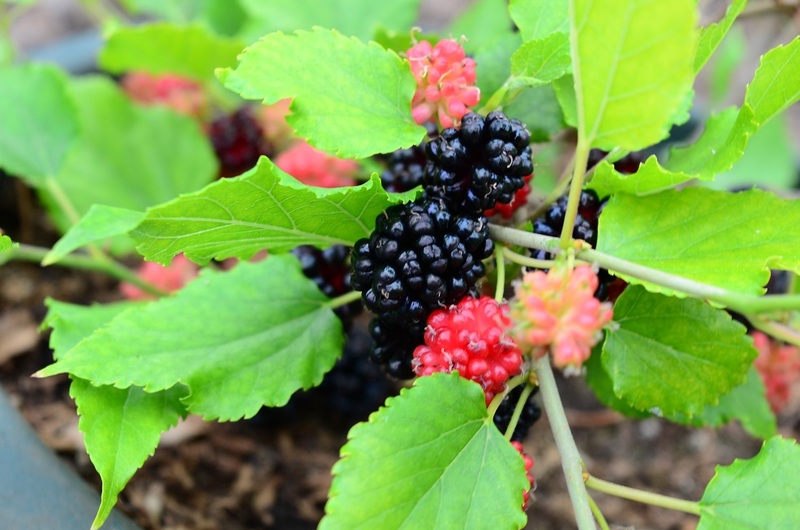 Taste/ texture – a few of the 10 or so mulberries that were on the plant when it arrived have ripened, and I personally found the taste/ texture of the black ones very similar to the estabilished Nigra, perhaps at the moment a diluted version but still sweet and juicy (not at all rubbery). The ripening red berries had a subtle grassiness to them. I am very happy with the taste considering this is from a young plant grown in a small pot. My experience is the flavour of the fruit on young trees often is just an indication of their potential and once they are estabilished and growing well in the sun with strong roots drawing the full goodness of the micronutrients from the soil the flavour improves. My Stella Cherry tasted insipid for the first 2 or so years but once estabilished has now has surpassed my previous favourite Merton Glory. If it is as simple as wrapping it in a burlap throw for the winter I personally feel the rewards of a potentially far longer fruiting period from a mulberry tree that grows to a limited height (like my m27 apples/ gisela 5 cherries) can add a unique human friendly aspect to the experience, just as in a firrent way the majestic weeping can, but for some gardens the placement of the latter may need to done with some more care, and if you have ever tried digging out some mulberry varieties that have only been in the ground a few years old you will be forgiven for thinking that your spade is hitting steel rods such can be the vigour of their root system. ‘Mojo Berry’? Really? Marketing wonks have surpassed themselves on the stupid name front! I have a second crop appearing on my original plant now, which is living outside though still in a pot and I will be interested to see whether that makes any difference. It’ll go in the ground in the next month or so, which will give it time to set down roots before winter though then I will need to give some better thought to what protection I can offer. I have a somewhat bedraggled “sapling” at the end of my plot next to the green house, and I wondered for ages what the heck it was. But now it has fruit on it, and guess what ? yes, it’s a mulberry bush (tree?). Lots of fruit coming thank you very much ! Went down yesterday to water everything (as you do), and had a look to see how the Mulberries were coming on, and although a bit small, they seem to be doing OK. Next thing is to clear all the junk from around the bush ! I really am so very, very jealous! What a find! I must say, when I saw that this plant had won Plant Of The Year, I assumed it was being judged as an ornamental, not an edible. As you say, it seems all wrong that the judges didn’t (couldn’t) even taste any berries! 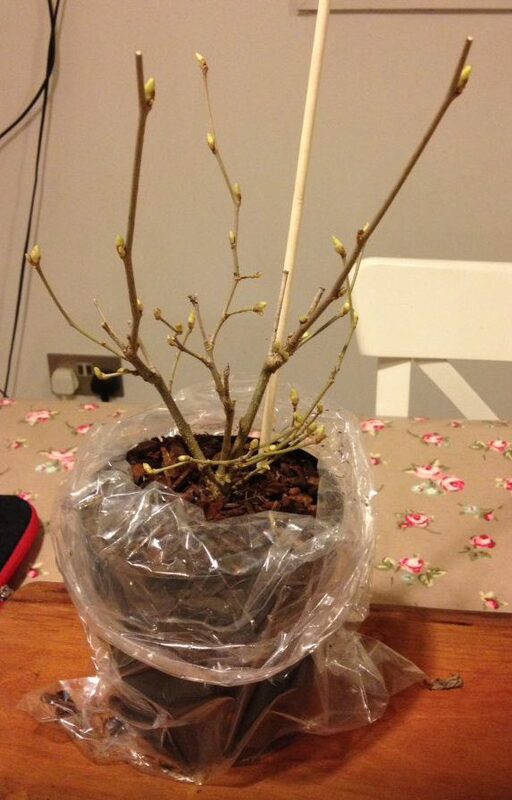 BTW Are you ALLOWED to “take cuttings”, like you have done with the broken branch? Presumably as long as you don’t plan to sell it, that is allowed? I would always assume if it’s an edible it would be judged as such – and I bet people seeing the marketing would assume it had been judged on taste as well as the plant itself. About the cutting – you mean restrictions from the Plant Breeder’s Rights? Once it’s sold out under licence it must be as difficult to monitor/enforce as music/films…Plus the bushes will need trimming etc. I’m not selling it anyway, just wanted people to know it’s easily done with this. Thank you Beryl, a really thorough, interesting analysis. I’ll be watching this. 1. If you wish to taste a black mulberry then visit any NT country property in August. 2. My mulberries vary in taste along with the variety of summer we have, and your’s may well improve with more sun. 3. The standard black (King James) does vary in taste – I found that some in Leicester Botanic Garden were too sweet to eat – but can’t remember the weather that year. Thanks for the comments – I hope mine do improve, they ripened in the warmth of the greenhouse. Michelle made an interesting point about potted plants having less flavour. Now I have 2 (the mini-cutting is flying along!) I can compare ground-grown vs pot-grown. Very informative post, thanks! I got a Charlotte Russe which arrived last month – starting to put on strong new growth and flower buds, so hopefully I’ll get some fruit this summer. Will let you know how they taste! Did Suttons say they weren’t hardy? I checked on their website which has the plants are fully hardy – so there might be a few complaints in March next year if it isn’t! No, I was told by a garden journalist at the show, who’s heard a number of trial plants are currently looking like twigs. They may still sprout new growth, but time is running out for that. I have been waiting to see your opinion on these, I have space for either one of these, a tayberry or a boysenberry. This helps me narrow it down haha! Very informative post, thank you! I’ve never tasted a boysenberry – are they any good? And thanks – I really wanted them to be amazing, so anything along the ‘ok’ mark is just disappointing. Am hoping the second flush of berries is better – or that it turns out I’ve been looking after it wrong! I’ve got a huge amount of boysenberries fruiting on my plant at the allotment so as long as I net them in time to save them from death by pigeon, you’ll be able to try some. Cuttings available too. Thanks Beryl for this honest appraisal. I had intended to buy this Mulberry but missed out on the original release as I was busy redesigning my plot. I was glad to hear Suttons were releasing a second lot, now I am not so sure. I have never tasted a Mulberry (nearly scrumped some down the village!) As you rightly point out setting the RHS seal of approval should be on the basis of flavour when awarding it to an edible, after all this cultivar is supposed to be about giving more people the opportunity to grow and eat Mulberries! Might yet have to go scrumping….! Scrump one first. Or as many as you can get hold of – they are so delicious. Apparently there’s a tree at a school near me. I will be loitering there in summer! I am so hoping someone tells me I’ve just missed something in the care that will boost flavour/juiciness.